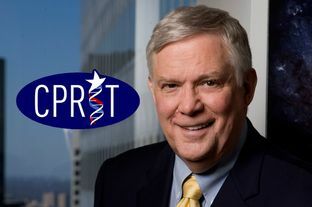 The prominent attorney and former U.S. assistant secretary of education is leaving the CPRIT oversight committee for a new opportunity in the midst of the committee’s task of overhauling the embattled cancer research-funding organization. 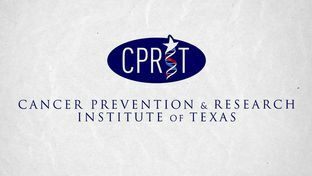 One of the officials tasked with developing sweeping reforms for CPRIT is stepping down from his position in the midst of the Texas legislature’s effort to pass new laws governing the operations on the nation’s largest state-funded cancer fighting initiative. Tom Luce, a former U.S. assistant secretary of education, prominent attorney, and policy expert, has officially announced his resignation from the CPRIT oversight committee, just two weeks after releasing a wide range of legislative proposals that would fundamentally transform — and potentially limit — the way that CPRIT funds cancer research and development initiatives in Texas. In a letter to the Texas Tribune, Luce noted that, “I am pleased with the progress CPRIT has made in the past few months and I am confident it will continue to restore its credibility with the Legislature and state leadership.” He went on to explain that his role chairman of the board of the National Math and Science Initiative left him little time to meet the demands of his other professional duties on the CPRIT oversight committee. Mr. Luce will continue to serve on the National Math and Science Initiative board, and will also take on new position as CEO of the O’Donnell Foundation, a Dallas-based education group. Mr. Luce’s resignation letter evokes comparisons to that of Dr. Alfred Gilman’s resignation letter as Chief Science Officer of CPRIT last May, which ushered in a series of high-profile investigations that eventually led to the suspension of the organization by Governor Perry. BioNews Texas reported yesterday that Dr. Gilman has been elected inaugural fellow of the American Association for Cancer Research. The news of Mr. Luce’s departure comes just on the heels of the CPRIT oversight committee’s release of a set of new proposals, which have still yet to be voted on in the Texas legislature. BioNews Texas has covered the proposals in a series of articles that seek to parse out whether the new iteration of CPRIT will see the elimination of the organization’s commercialization arm, a narrowing of cancer research funding in Texas, and put stringent, new rules into place for the review and approval of grants. Last Wednesday, the CPRIT oversight committee canceled its open meeting to allow citizens to ask questions and get nuanced answers to the new proposed changes. CPRIT has yet to reschedule the meeting.